VocabularySpellingCity is a family-owned, award winning, educational software company that has been growing since 2008. They are dedicated to helping students, teacher, parents and school systems and offer something to fit every need and budget. Their mission is to offer an efficient game-based study of literacy skills using any word list. They are constantly adding new features to their already fabulous program based on the input from existing users. 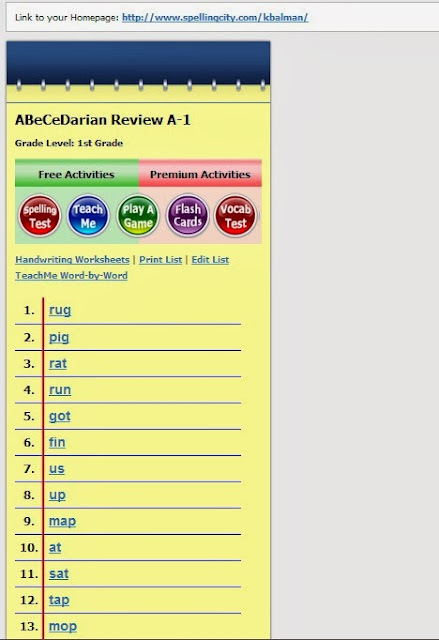 We received a 1 year PREMIUM membership to VocabularySpellingCity to review. This is actually the second time we reviewed this fabulous program. It is actually one of my reviews that gets the most hits. 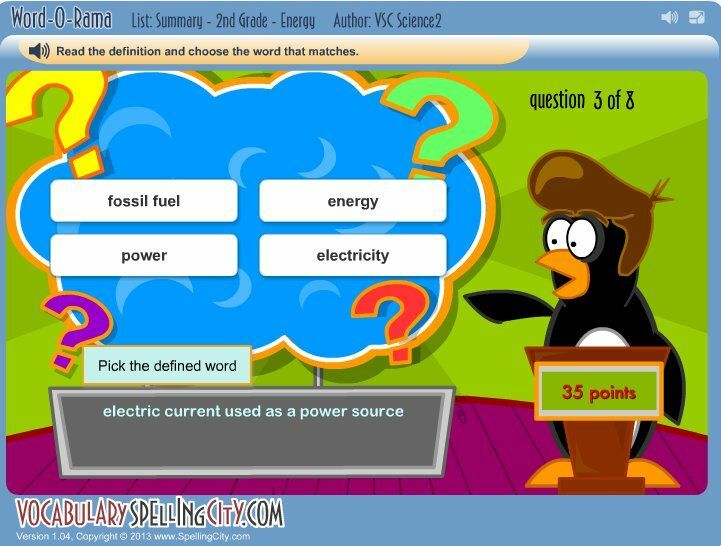 We originally began using the FREE membership to VocabularySpellingCity in 2011 when Gwyn was 5. We only used it a little bit then because Gwyn wasn't really reading yet so we couldn't take full advantage of all that the program offer. Last year when we reviewed it Gwyn was 6 and we were able to utilize more of the program and Gwyn loved it, read our past review here. Fast forward and Gwyn is now 7 and her brother Rowyn is 6. Gwyn is reading much better now (about 300+ words) and working on spelling as well. And Rowyn is beginning to learn to read now too. With two beginner readers on my hands I am always looking for fun ways to encourage them to enhance their reading skills and VocabularySpellingCity is a great way to do that. VocabularySpellingCity is NOT a reading curriculum instead is a supplemental program designed to assist your child with their reading, vocabulary and spelling skills in a fun way! Oh and handwriting too! There are loads, no make that tons of reading lists. My favorite are the word family beginner spelling lists. There are dolch-sight word lists too. These lists are great for Gwyn and Rowyn because they contain the words that both are currently working on. There are so many lists to choose from and more are constantly being added. The lists are created by Spelling City, Teachers and Parents. If you can't find what you are looking for you can create and save your own. And if you want to you can publish your created list to make it available for others to use. This is probably my most favorite feature because I can go through our current reading curriculum and make lists for the words that they are working on. If it's FREE why would I get the PREMIUM membership? Yup I asked myself this same question. The FREE membership was amazing until.....I logged into our premium account. Individual Student Logins - Student assignments, records for each student useful for IEPs & transcripts, no paperwork saves time! And those lists? Well you can organize them into groups which will make it much easier to navigate your list management menu. Especially since I am sure your lists will grow and grow just like mine have. I currently have a group for 1st grade reading, unit studies, colors, numbers, and states. My favorite premium features are the assignment creation and student tracking capability. Each of your children can have their own log in information (which is created through the parent account). Once you do this you can set up assignments for each child specifying the word lists and activities they are supposed to complete. 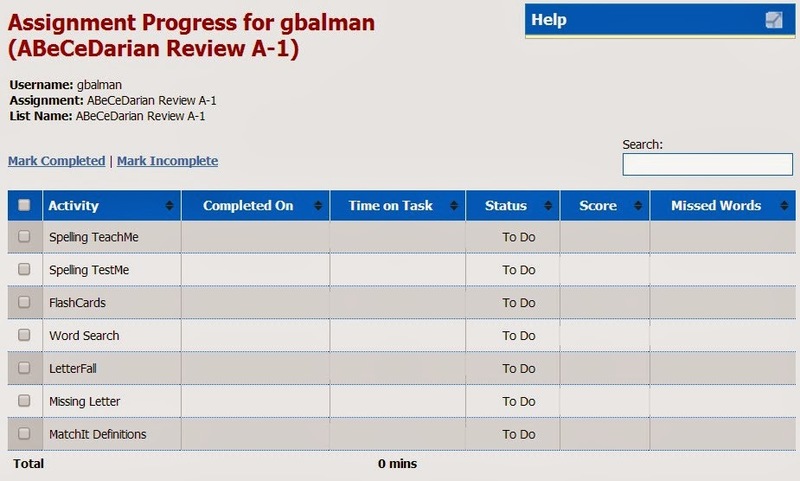 When your child logs in they can easily see what assignments they need to complete and work their way through at their own pace. 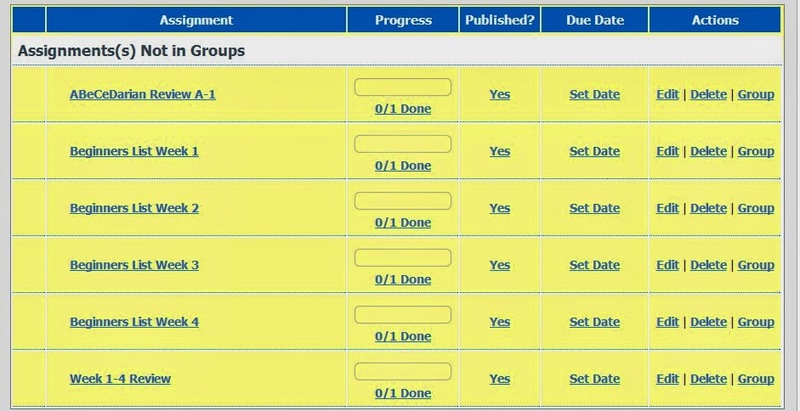 You can also set up due dates for each assignment too. Parents can easily track their child's progress on assignments, spelling tests, activities and more. You can also click on the spelling or vocab test results to view your child's progress in a pdf document. This is great to save or print for your child's homeschool records. Before children dive into the games they can first teach themselves the words and definitions by utilizing either the "Spelling TeachMe" or "Flash Cards.". When they are confident that they know the words they can move onto the "Spelling TestMe" or "Vocabulary TestMe". 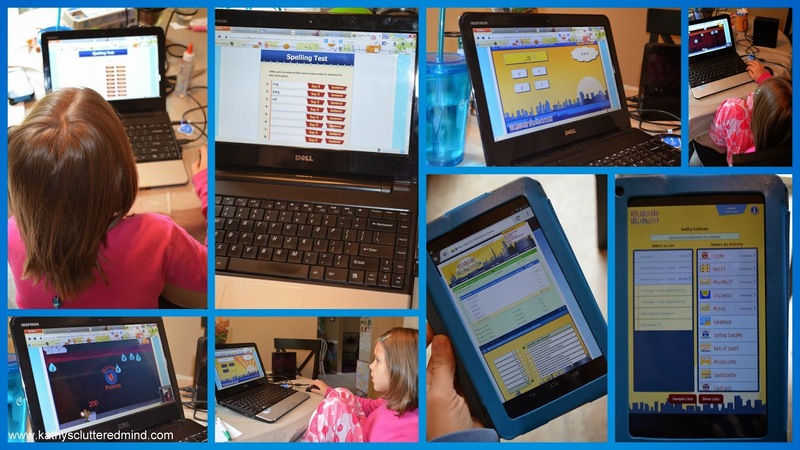 When we first tried VocabularySpellingCity I was worried Gwyn would be frustrated with the program because we don't really do test type work in our homeschool. However because the program doesn't correct the child immediately she didn't know until the end if she was right or wrong...therefore no frustration!!! What ever words Gwyn gets wrong we just go back over together. I love the program is also teaching typing skills and if you want to incorporate handwriting too you can print off worksheets with the click of a button! Learning is so much more fun when games are involved. The selection of games are great and both of the children had lots of fun. Gwyn still struggled with a few of the which seem to be geared towards slightly older children (8 and above). Many of the games can also be printed as worksheets as well which is great if you are also working on handwriting skills too. 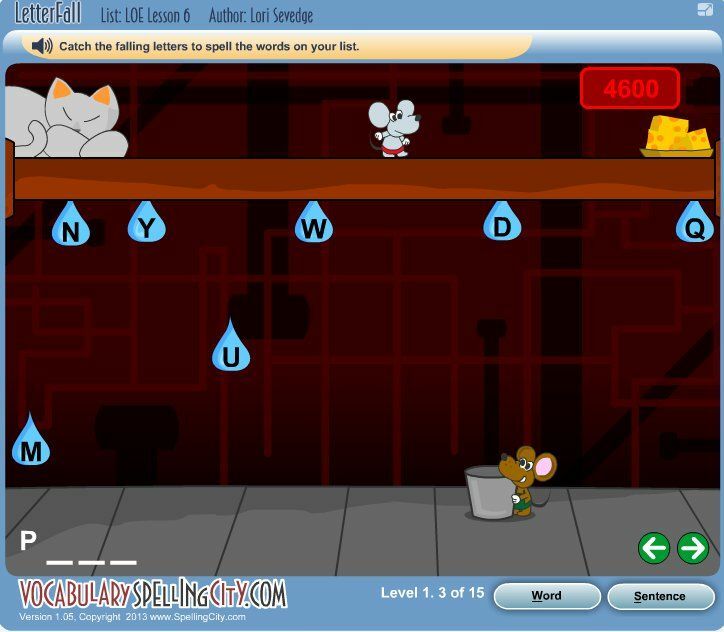 VocabularySpellingCity is easy for children to navigate independently, which I love. The program utilizes 5 buttons in the "Teach Me" portion. I explained these buttons to Gwyn and Rowyn once and she was on her way. The program is very encouraging and doesn't frustrate my perfectionist daughter one bit. There is even a certificate you can print out for your child to hang on the wall or fridge when they pass their spelling test. You really cannot beat the $29.99 (up to 5 children) yearly membership fee. The program offers something for everyone K-12 and all learning styles. As mentioned above some of the games are difficult for younger children so a parental assistance may be required. Also Gwyn sometimes has a hard time understanding what word the computer told her to find or type (this could just be my computer speakers and not the actual program). But generally clicking the option to hear the word in a sentence helps her decipher what word she is supposed to find or type. Last year I was sad that the Android App was not available but I am so HAPPY to tell you that there is now an Android, iPhone/iPad, and Kindle App available for VocabularySpellingCity. And they are FREE!!!! Also several of the VocabularySpellingCity features did work on my Android Tablet through the FireFox browser like the tests, a few of the games and all of the parent list record access etc. I like the list mommy made. I like the missing letter and word-o-rama games the best. I also like the worksheets. I like the App on mommy's tablet too, it's fun to do in the car. 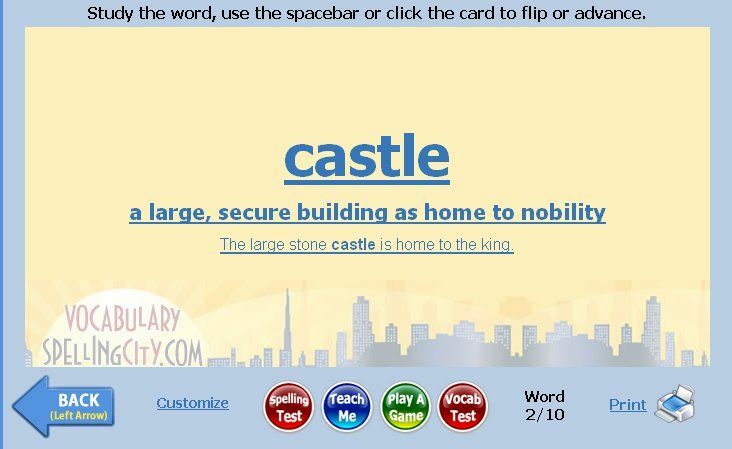 The VocabularySpellingCity premium membership is $29.99 a year (up to 5 children) and worth every penny! Click here for more VocabularySpellingCity reviews from the The Schoolhouse Review Crew. Very thorough review! I hear that a lot of schools are starting to use this site as well with much success! Glad your kidsenjoyed it!